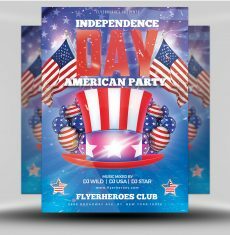 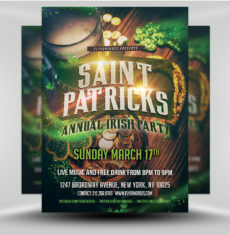 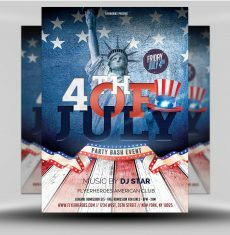 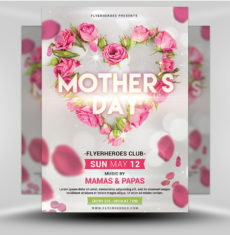 This week’s free flyer template is a guest submission from graphic designer Ali Rahmoun, best know as Saltshaker911 over on Graphicriver. 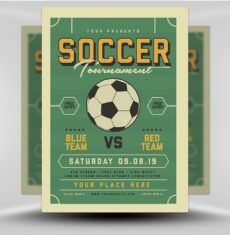 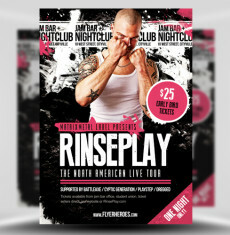 Ali is one of Graphicriver’s top flyer designers. 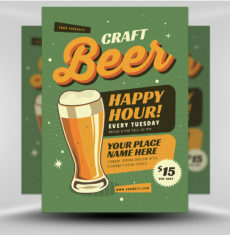 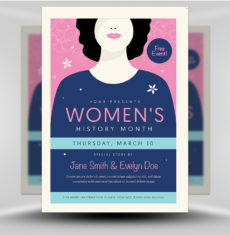 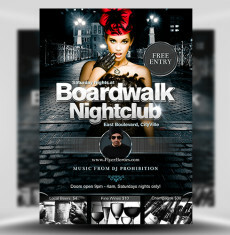 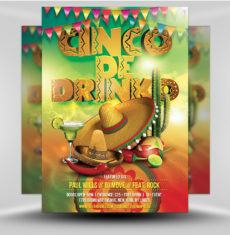 He includes original and photorealistic 3D renders within flyer designs, which adds a superb touch of life to his work. 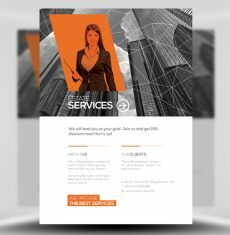 Check out his portfolio here. 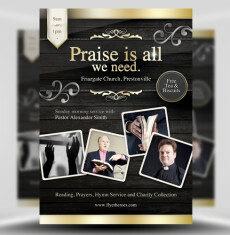 Now introductions are over with, on to this week’s free flyer template. 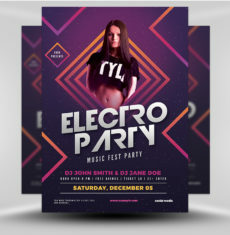 As usual, you get a fully editable and print ready Photoshop PSD flyer template. 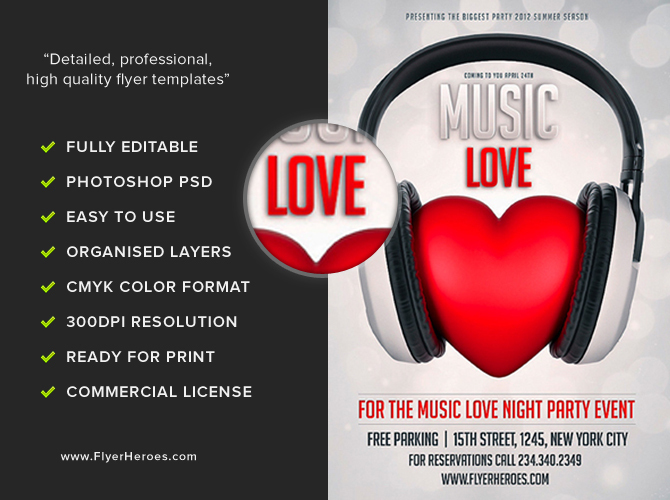 All layers are left fully editable for you to use and customize to your heart’s content. 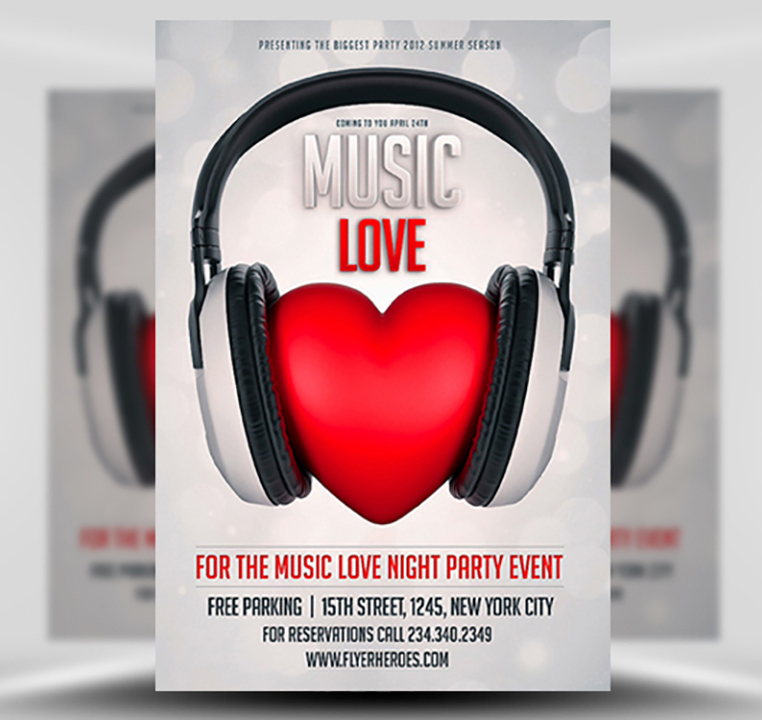 Speaking of hearts, Free Music Love Flyer Template features a large 3D love heart render wrapped up in stunning 3D headphones. 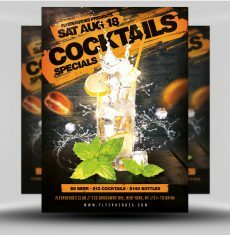 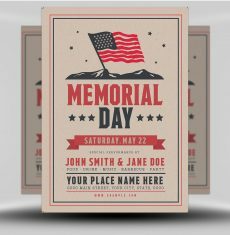 Both elements look highly realistic and add a sense of depth to an overall simple & minimal flyer. 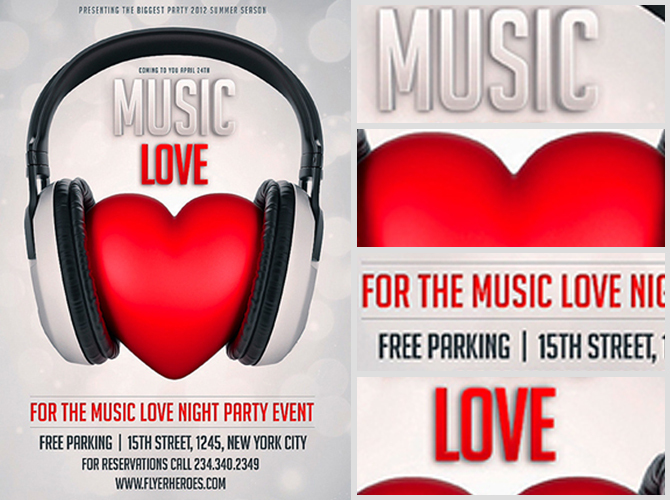 This merging of music and love (for an aptly named template) is the perfect piece of artwork for a Valentine’s Day club flyer design. 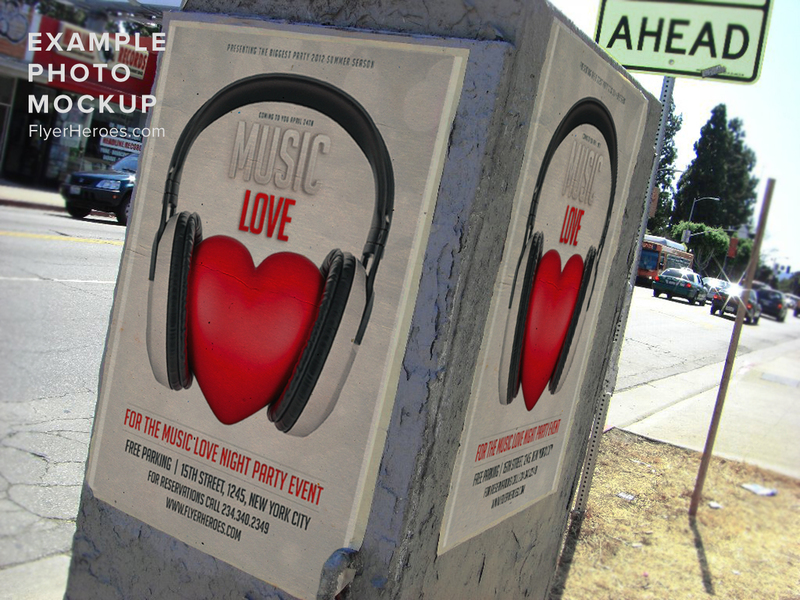 The 3D heart and headphones are obvious symbols for love and music – which go hand in hand for any nightclub’s Valentine’s Day event!